The Denver Electric Vehicle Council was created in Boulder Colorado in December 1974 after the first “gas shortage” crisis in 1973 after turmoil in the middle east disrupted US oil markets. The club was initially founded by an Electrical Engineering professor named George Gless at the University of Colorado. George felt compelled to take action to educate people about the potential of battery “fueled” electric drive technologies to satisfy some of the transportation needs in this country. Today the DEVC has more than 100 members interested in Renewable Energy, Battery Electric Vehicles, and Hybrid technologies.  The DEVC represents the Colorado Chapter of the Electric Auto Association (EAA). In July of 2017, the DEVC was features in the EAA magazine Current EVents as a featured chapter! For a summary of our group take a look at the Chapter Highlights document. The following officers have been elected by the Council membership to hold positions of responsibility and to make decisions for the direction of the organization. I’ve converted a 85 VW rabbit in Arapahoe county but I don’t know where to get the inspection done to get it registered as E type fuel? Anyone know a place in SE metro area or S aurora?